«©NCSX» Clare is a silver-eyed killer who's a Claymore - a mercenary of sorts who has the ability to discern humans from monsters-hiding-as-humans. Clare carries a claymore as her weapon which she uses to slice and dice monsters with clean-cuts that lop off arms, legs, and even shears abdomens apart like paper. 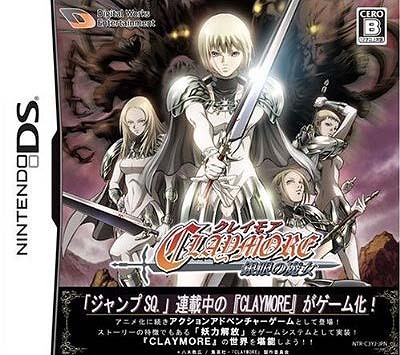 Digital Works Entertainment's new Claymore game features side scrolling platform action where Clare jumps, attacks, and lunges with stilted abandon. When roaming the world of Claymore, Clare's a stiff-limbed and rigid warrior as she explores and faces off against adversaries. Maybe Clare is so disciplined that she maintains a proper posture even when she's jumping and hacking away. 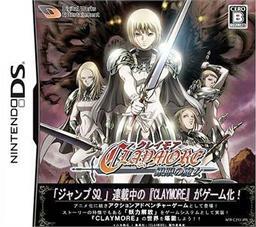 The supporting cast of characters from the manga such as Raki, Priscilla, and others who also appear in the game.